As the fashion world enters into its quietest phase of the year, there are still plenty of events to look forward to outside the fashion capitals including Mercedes-Benz Fashion Week Cape Town and Lakmé Fashion Week in India. The inaugural Mercedes-Benz Fashion Week Cape Town includes a line-up of South Africa's leading fashion designers, with the theme of "icons" to represent the various aspects of the South African design aesthetic ranging from timeless elegance to sporty minimalism. Taking place to mark the London 2012 Olympic and Paralympic Games, the Britain Creates project has seen leading designers such as Paul Smith and Matthew Williamson each team up with a leading contemporary artist to create a work of art to represent London as a capital for creative excellence. The specially created exclusive pieces are on display at London's V&A museum until July 29, followed by an installation in department store Selfridges' ‘Wonder Windows' during July and August. Jointly organized by beauty brand Lakmé and fashion events company IMG, Lakmé Fashion Week aims to integrate India into the global fashion world. Now in its 13th year, the event will host over 80 designers, while the Gen Next program, encouraging debutantes, will welcome renowned designer Aki Narula as a mentor to the rising stars. Kicking off fashion week season in the Scandinavian countries, the Spring/Summer 2013 edition of Copenhagen Fashion Week will feature a range of Danish and international fashion talent, with homegrown designer Anne Sofie Madsen presenting alongside global labels including French Connection and Odeur. While August is traditionally a calm month in the realm of fashion, this isn't the case for Scandinavian countries, with Stockholm Fashion Week and Oslo Fashion Week taking place concurrently. On the line-up for the former are top Swedish designers including Heart of Lovikka, Kay Senchai and Aniv von Borche -- who has already charmed fashion capitals including Milan and New York. Established in 2004, Oslo Fashion Week is well known for being the first country to ban fur during a fashion week back in 2010. It attracts top Norwegian creators including Fam Irvoll and Kristine Vikse. 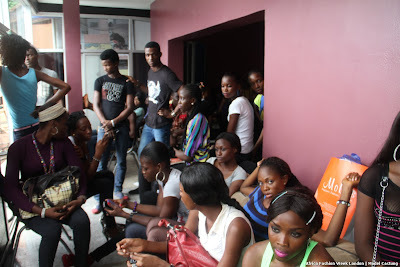 Models at the casting for Africa Fashion Week London.Location Lagos Nigeria. 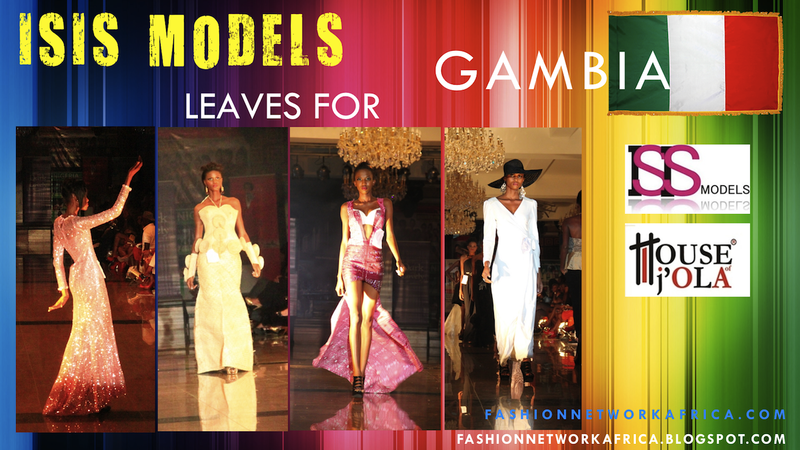 The much awaited Gambia Fashion Night 2011 commences now!!! GLOBUS, LA LOBA, SEGABASS, WEDADS, RHW JEWELRY, TRESOR, MC NANA KUCKUCK, MC SONG, HOUSE OF JOLA, MAHONY - ACTOR, YAWS, ZILA, LILIAN, SONG NDEY FATOU, MC SINGER, ADAMA PARIS, MC RAGE AGE, BALLERINA, EWA MINGE. Invited guests trooped in as the red carpet is being prepared. 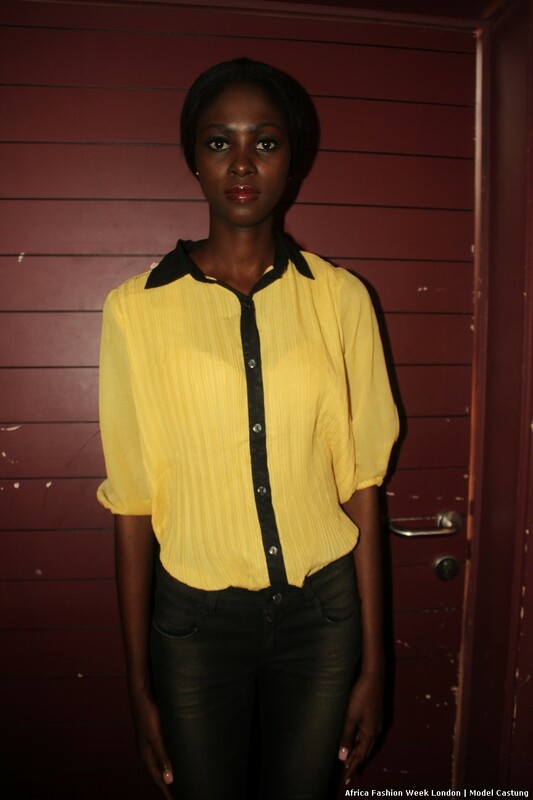 There is no doubt this would be a great fashion show coming from The Gambia. As ISIS Models continue to gain grounds in the fashion industry, we embark on a trip to Gambia for the Gambia Fashion Night Out. More information coming soon on http://fashionnetworkafrica.blogspot.com as the event unfolds tomorrow. 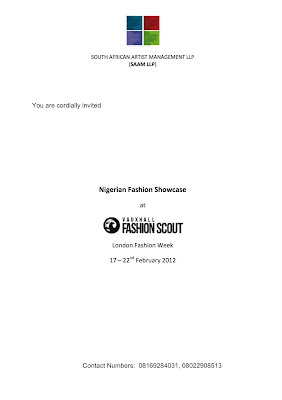 LONDON FASHOW WEEK 2012 IN THE MAKING | NIGERIAN COLLECTIVE WILL BE ON THE VAUXHALL SCOUTS LONDON FASHION WEEK CALENDAR. All hands are already on deck to unveil LONDON FASHION WEEK come February 2012 calendar, as INTERNATIONAL BUSINESS CONSORTIUM NIGERIA LTD and SOUTH AFRICAN ARTIST MANAGEMENT LLP London has signed agreement to bring Fashion Designers and Models from Nigeria to showcase in the forth-coming London Fashion Week 2012. The partnership emerged as a result of the success stories of Nigeria fashion industry. "the partnership is important especially now that we are aware Africa can offer so much across the fashion supply chain-not only within the design and manufacturing but also as a supplier of major new talent within the people itself.". These were the words of Errol Hendrickse, the Operation Director of South African Artist Management LLP. The South African Artist Management LLP primary objective is to see the success of its project that will incorporate PR, exhibition and fashion showcase, seminars, forecast, creation of new design led aesthetic from the concept development to launch. The first quater of the project is to develop and crate an international South African design led aesthetic, international promotion and high visibility PR campaign. In Nigeria alone, fifteen models will be selected to hit the runway during the London Fashion Week. five out of the fifteen are expected to be male Models while the remaining are expected to be females.The selection process will take two streams. Selection by Z-cards (in London) and physical selection in Nigeria. 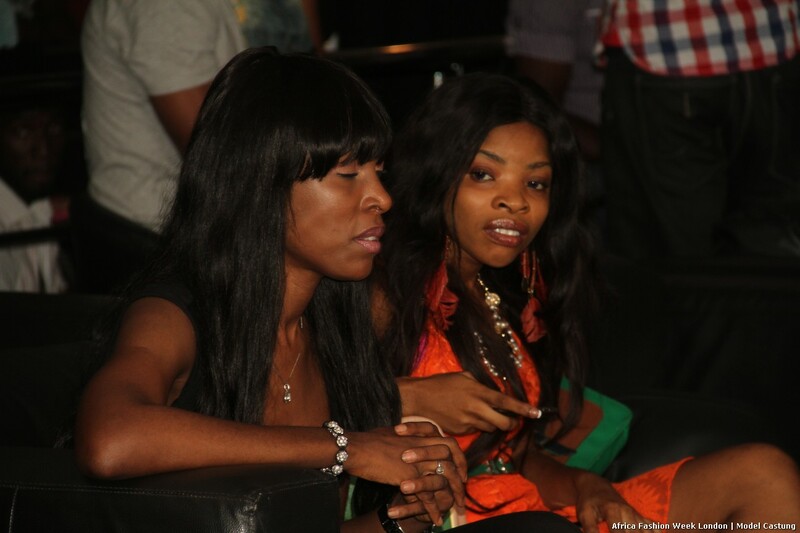 Top media organizations in Nigeria will be there to cover the event. 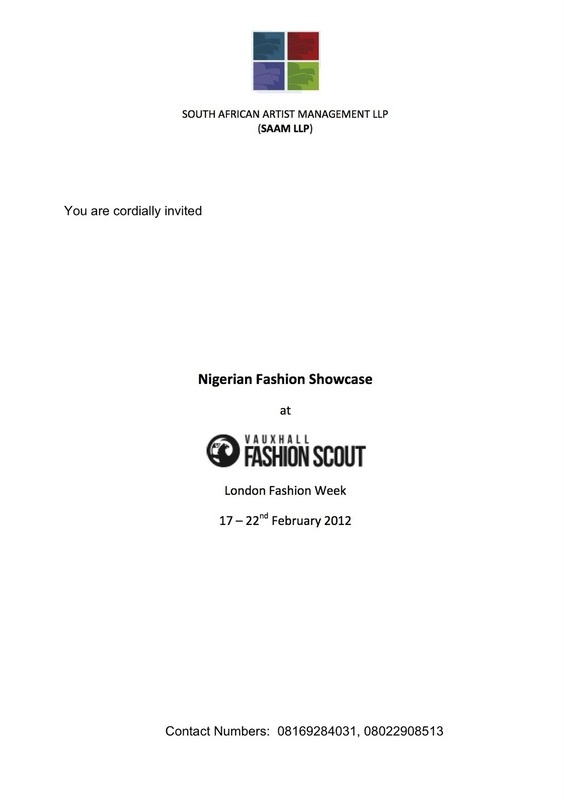 The VAUXHALL SCOUTS London will also be on ground to capture every moments from casting to the runway. 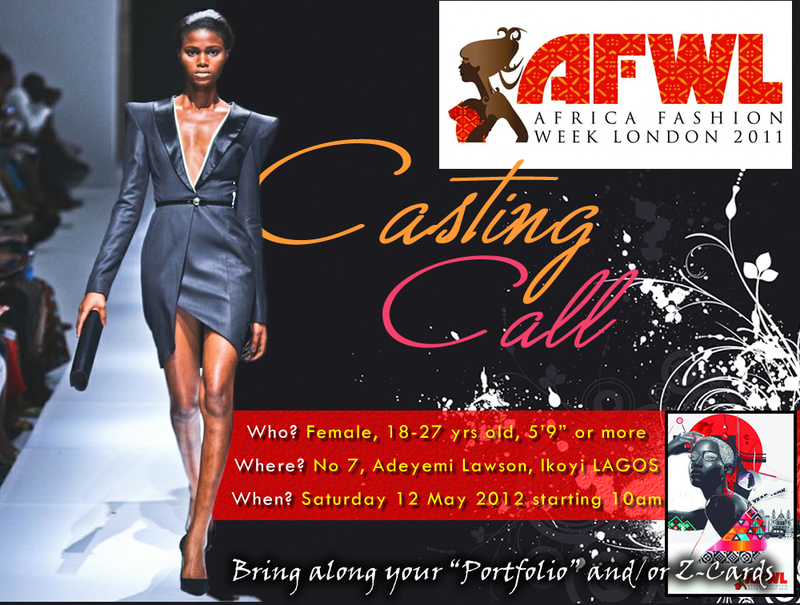 This is a big opportunity for participating Models to make their dreams come true. Vauxhall Fashion Scout is the leading independent event at London Fashion Week, showcasing the mot innovative and exciting fashion designers to an international audience of media, buyers, celebrities and VIPs. Labelled a "talent goldmine" by vogue.com, Vauxhall Fashion Scout is an integral part of London Fashion Week and a major media attraction. Over 10,000 guests attend the six-day event making it a major part of LFW, generating substantial press and social media coverage. Vauxhall Fashion Scout selects the exciting designers and showcases them through catwalk shows, salon shows, presentations, fashion film and exhibition, and since its conception, and since its conception ten seasons ago, Vauxhall Fashion Scout has held over 280 shows. 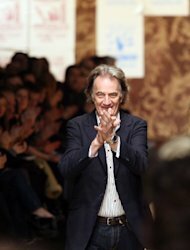 The first to support bloggers and a leader in fashion presentations, Vauxhall Fashion Scout is also the only independent event to host men's catwalk shows as part of LFW. South African Artist Management LLP who is also instrumental in bringing top south africa designers last year under the Ubuntu project is the brainchild of Theo Omambala and South African borne-designer and lifetime architect Errol Hendrickst. The designers Stiaan, Loouw, Heni Este - Hijze and Maxhosa Knitwear and now very well known in the fashion industry in Europe and America while designer like Bunmi Koko is a regular with the Vauxhall Fashion Scout London Fashion Week. According to Errol, we are very excited about working with Nigeria and exporting the best talent that african can offer an international fashion market. The regular event guests at this show are VOGUE, ELLE, HARPERS BAZAAR, GRAZIA, WALLPAPER, DAZED, iD, LOVE, TANK, 10, ANOTHER, GQ, ESQUIRE, DRAPERS, DAILY TELEGRAPH, TIMES, GUARDIAN, INDEPENT, VOGUE.COM, STYLE.COM, VOGUE.IT, SHOWStudio, STYLE BUBBLE, LONDON LIBERTY GIRL, DAZED, DIGITAL, FASHION MONITOR. HARRODS, SELFRIDGES, HARVEY NICHOLS, BROWNS, CRUISE, MATCHES, B-STORE, START, BARNEYS, SAKS, FRED SEGAL, OPENING CEREMONY, CURVE, ISETAN, PENELOPE, BIFFI. Dark & Lovely, the leading beauty brand for women of color, named actress and model Bria Murphy its newest face Tuesday night. Murphy, 21, said she has been modeling and auditioning for parts for the past two years and was excited over the opportunity to represent a brand she's known since her pre-teens. "I have been relaxing my hair with Dark & Lovely since I was 11," said Murphy, the daughter of actor Eddie Murphy and Nicole Murphy, both of whom attended the event, held at Juliet's Supper Club in Chelsea, along with younger sister, Shayne, 16. Dark & Lovely's former spokesmodel, actress Nia Long, presented Murphy, who was also hailed by Soft Sheen-Carson general manager Angela Guy. L'Oreal USA owns Soft Sheen-Carson, which is based in New York. Murphy will appear in print and TV commercials for Dark & Lovely's newest product, Healthy Gloss 5, a reformulated relaxer kit that targets the five signs of healthy hair, as well it's accompanying hair care products. 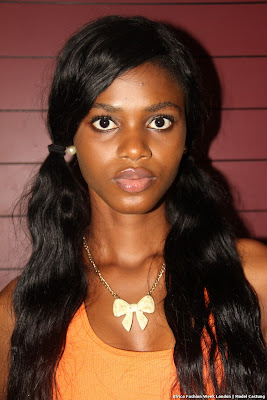 ANTI-AGING SOLUTION - "MIRACLE IN THE BOTTLE"
Nigeria's Next Super Model 2012 is on!!! 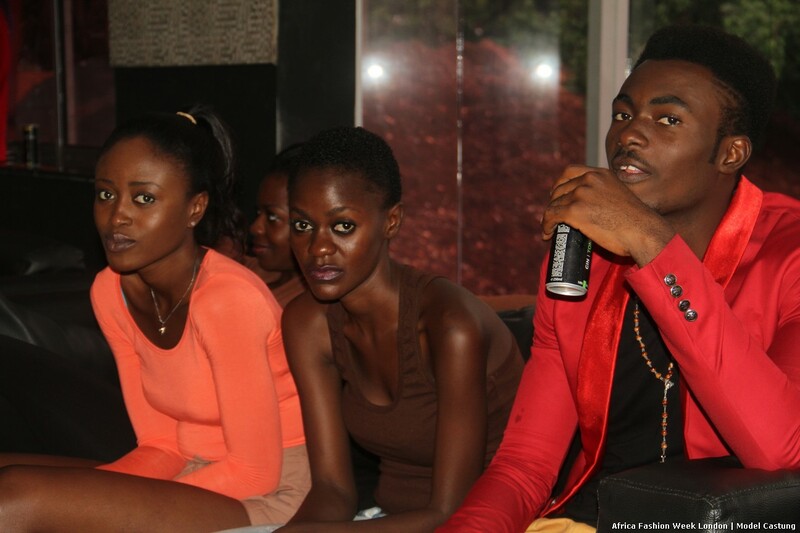 Download the application form at Nigeria's Next Super Model official website. And get connected with us on Facebook. Visit NNSM Website for more information and form download.